Business card for a talented cosplay designer turned entrepreneurial seamstress. I have a gown by her, myself. 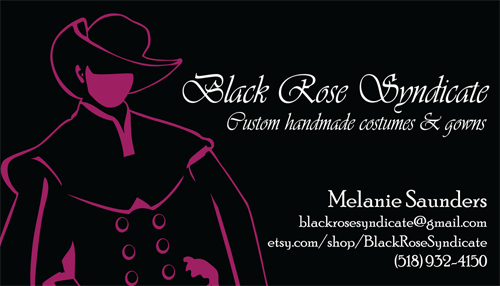 Published November 13, 2014 at 500 × 286 in Business Card – Black Rose Syndicate.